^ the “not a suppressor lookalike with suppressor looking guts”. Sig Sauer is currently going through a re-classification battle with the ATF over a similar suppressor-looking-muzzle-brake product on their MPX rifles. 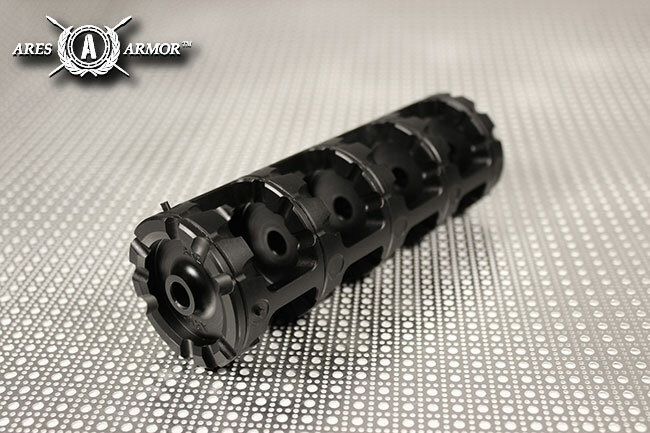 I don’t know how this is going to turn out, but I know the ATF isn’t naive enough to think the dimensions of this Ares Armor muzzle brake aren’t conveniently the same diameter as a mag light sleeve, or a certain brand of solid handguard…. because I’m guessing that’s the case. Hardened steel though would make for a damn heavy end of barrel item no matter what. In an abundance of caution we have added anti-tamper features to restrict the ability of one to misuse this product. I really don’t know if things like this are good or bad for gun laws… what are you thoughts? As soon as he set the RHMB on the gummy bear and I heard the sound all I could think of was the M.E.T.H.O.D. Man intro. I let the song play through the remaining 3+ mins too and it fit well. Holy, not much happened it the video because apparently that silly sludge is indestructible. RHMB / Mattv2099 haters move along… nothing at all to see here. Has anyone ever drank a bottle of frog lube? They say it’s non toxic… someone really should do that on camera and then document the experience after the fact. Holy that smoke and fire looked sinister. Sounded like a beast too. Matt is really taking this trollfessional career to the next level with all the camera angles. YOUTUBE MONEY! I wonder if Matt obtained his .22 LR from someone in the comments on this post? Probably… that’s where all the best .22 LR is being sold for record low prices lately. 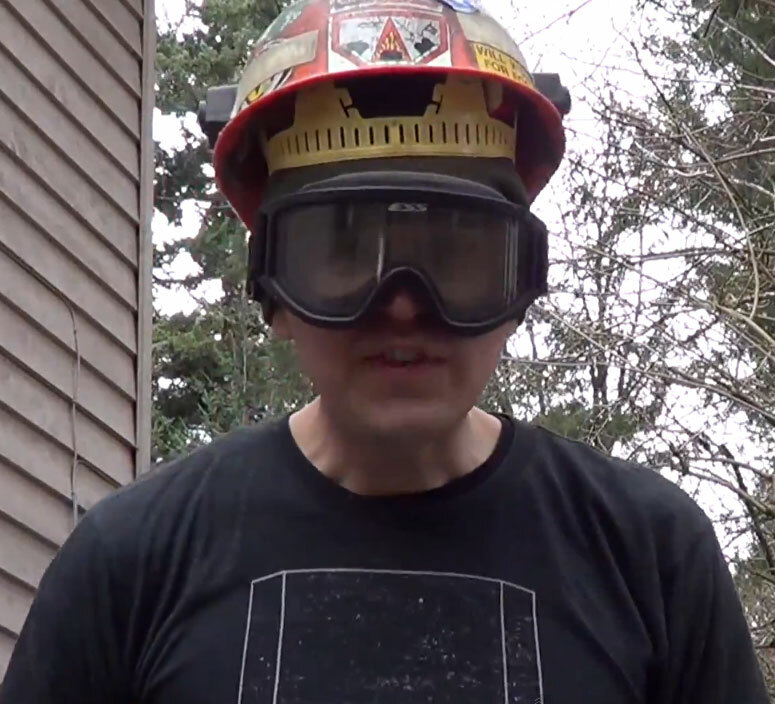 LOL 0:45 – Ballistic ski goggles and ballistic hardhat no doubt. The anticipation of it cooking the round(s) off is like waiting for a balloon to pop. Seems dangerous, but what do I know I’m not a troll ballistics expert like MV2099. 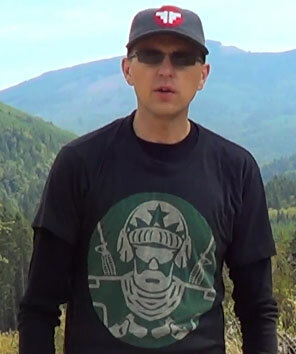 Matt is wearing the AR-15 picatinny rail t-Shirt from ENDO Apparel. Not bulletproof, but you’ll at least die looking like a prince. Thoughts? 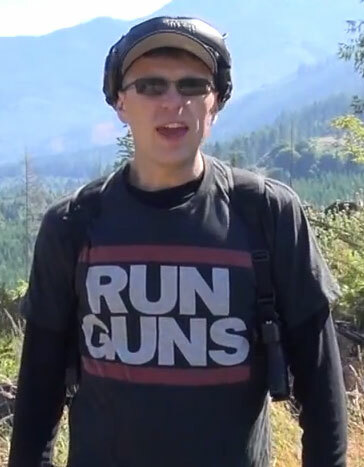 Was I the only one hoping he was going to pour the whole container of .22LR onto the RHMB?